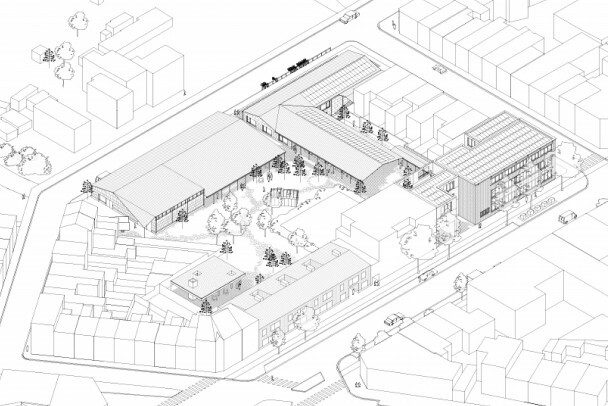 We are happy to announce that we won the Open Call for the design of a social-service campus for De Ideale Woning in Berchem (B). Our proposal consists of the refurbishment of an existing office building and the realization of 3 new buildings around a communal neighbourhood garden. The latter being the centre of our plan, the design focuses on creating a sustainable, natural and joyous working environment that bathes in an atmosphere of shared use and open collaboration. Our team consists of HUB, Arne Deruyter, UTIL, RCR, Daidalos Peutz and Kasper De Vos.